Prairie stars shop hop starts tomorrow April 6 and continues though April 14th. Hours will be 9:00 to 6:00, closed Sunday. You will pick up a passport at the first shop. You can purchase 10" squares from each shop, you will have a complete layer cake when you are done. Pick a finishing kit from the shop you choose. You can find out more information, and see pictures from all of the participat ing shops, www.prairiestarsquiltshophop.com. 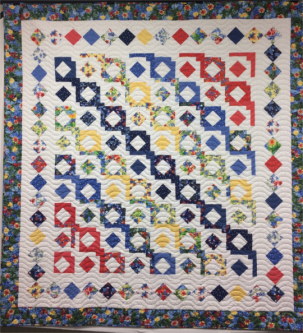 Shops included are: Prairie Flower Quilts - Leoti, Cheryl’s Quilt Corner - Guyman, Country Quiltin by Design - Plains, Just a Stichin - Springfield, Pam’s Variety - Boise City, Quilters Stash - Syracuse, Sunflower Creations - Copeland. Grand prize will be $100 gift card. We will also have door prizes and sales.